Home» Garrick News » Stepped up! 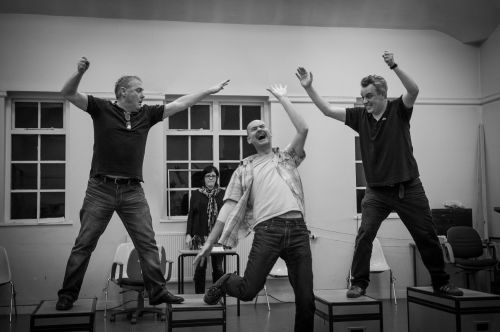 It looks like the cast are having a lot of fun in the rehearsals for ‘The 39 Steps’ (opens Monday 24th Feb) – and ticket sales are already indicating this is going to be a hit! Monday night has already SOLD OUT! – and Saturday night’s show is also filling up fast. See this link for more photos from the rehearsals…and book your seats to join the fun!